How Mercedes has managed to be on top of the F1 racing season this year thanks to its key tech partnerships. It was an unusually cloudy day. The finals of the last leg of the annual Formula One season was just about to start at the Yas marina Circuit in Abu Dhabi. It is not usual for it to rain in Abu Dhabi around this time of the year. The tracks at the Yas Marina Circuit was wet for the first time in several years ahead of a crucial race. But that did not stop Lewis Hamilton and his engineering team in the backend to race away with yet another trophy, winning the Abu Dhabi Grand Prix for the fifth time. It took him an hour and 39 seconds to win the race and just two seconds away was Sebastian Vettel. According to Mercedes, these seconds are worth millions and that’s why almost all Formula 1 teams do everything they can to be one up against competition. The car that raced and won in Abu Dhabi is not the same machine that raced in Australia. 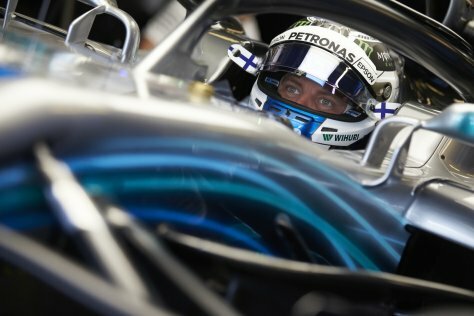 According to Mercedes the car constantly goes through a series of changes during the course of the year and these changes are warranted by the critical data that is made available from the race track. The car evolves 80 per cent from the start of the year before it hits the final race. Or else, it will be a mid table car. As per the company, the vehicle that hit the tracks for the final race will be able to kick the backside on the car in Australia. Mercedes has been ramping up their technological capabilities of its cars, with multiple sensors, data transfers, connectivity and security being given utmost priority. Mercedes has formed an alliance of tech partners by joining hands with Rubrik, Qualcomm and Pure Storage. Mercedes-AMG F1 W09 EQ Power+ as the 2018 race car is known is so far the fastest Mercedes Race Car in the F1 history pushing at speeds of over 300km/hour largely due to a combination of aerodynamics and hybrid engine technology. The car is connected with at least 200 sensors which means it generates a large amount of data – approximately about 1TB of data from a single car in a day – that goes back to its facility in Brackley in the UK where the engineering team is headquartered. All this is done within a span of 0.04 seconds. The task is mainly achieved thanks to the all flash storage from Pure Storage and Rubrik’s data management solution. 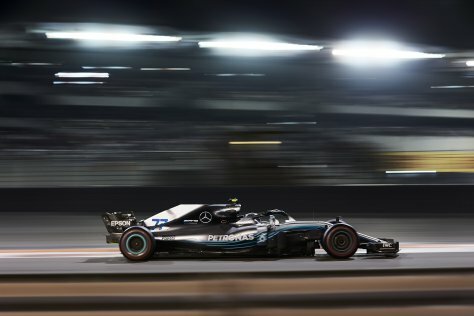 Last year the two companies signed an agreement where Mercedes-AMG Petronas Motorsport would also use Rubrik’s REST API (Application Programming Interface) to integrate with their current tools to analyze their data utilization. The regional head of Rubrik, Mohammed Tamimi explained to Tahawultech about how with this information, the team expects to become even more efficient in utilising race data. “Its all about data and decision making,” says Tamimi. Rubrik, he says started working with Mercedes about a year and a half ago and has ramped up its ability to restore data within seconds. “The massive amount of data needs to be fully protected, backed up and restored. 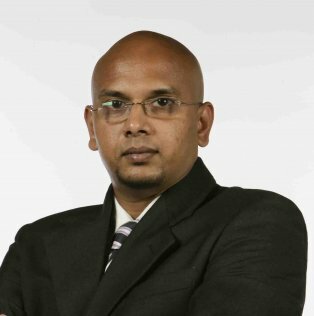 It is totally integrated into Rubrik’s private cloud,” says Tamimi. “When it comes to racing, we are talking about time and it is measured in seconds. And that’s what we help our partners and clients achieve,” says Tamimi. According to him, the data needs to be encrypted stored and then restored. “What’s important is the restoration of data in emergency situations. The difference between us and others is that what takes others 8 to 10 hours will take us just 10 seconds. A customer of ours managed to get his 6TB of backup in just six seconds,” says Tamimi. “They used to use traditional backup solutions where they use to put the data into a tape. Three to five years ago that was the right approach. But today, we need insights within seconds or the competitors would be ahead and we are talking about the difference of millions of pounds,” he said. According to Mercedes, what makes technology more important is that the process is a combination of data analytics and machine learning. Although most of the analysis has been done using manpower, Mercedes is working towards speeding up the process using software and machine learning. While every extra dollar used to be spent on developing aero dynamics, its currently being spent on data. As Mercedes prepares for the 2019 season, the engineering team are already working on how the latest advanced tech can help Lewis and his team keep up the momentum in Australia.